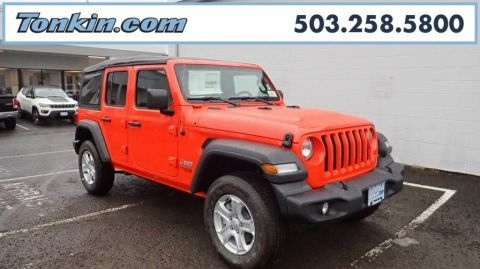 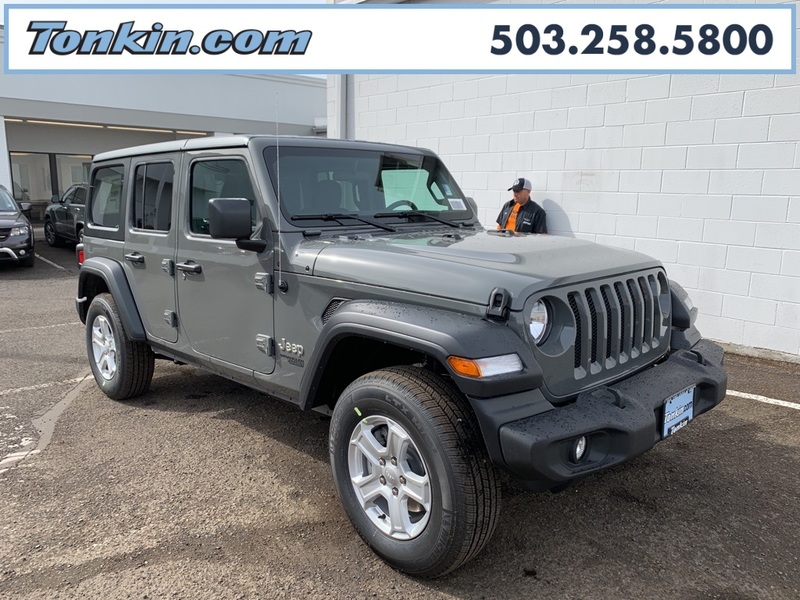 2019 Jeep Wrangler Unlimited Sport S Gray Clearcoat Backup Camera, Bluetooth, Hands-Free, Cruise Control, Portable Audio Connection, Power Locks, Power Windows, Steering Wheell Controls, Trailer Hitch, AWD/4WD, 240 Amp Alternator, 7 & 4 Pin Wiring Harness, 700 Amp Maintenance Free Battery, ABS brakes, Automatic Headlamps, Auxiliary Switches, Class II Receiver Hitch, Cold Weather Group, Compass, Convenience Group, Deep Tint Sunscreen Windows, Electronic Stability Control, Front 1-Touch Down Power Windows, Heated Front Seats, Heated Steering Wheel, Leather Wrapped Steering Wheel, Low tire pressure warning, Power Heated Mirrors, Quick Order Package 24S Sport S, Remote Keyless Entry, Security Alarm, Speed Sensitive Power Locks, Sun Visors w/Illuminated Vanity Mirrors, Traction control, Trailer Tow & HD Electrical Group, Universal Garage Door Opener, Wheels: 17" x 7.5" Tech Silver Aluminum. 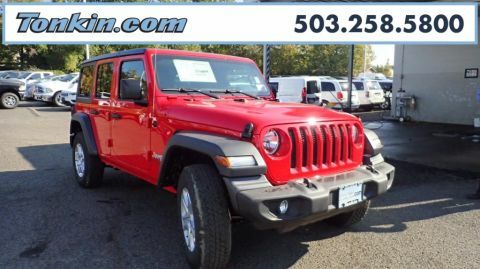 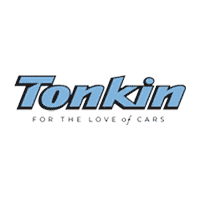 ***Call (503) 258-5800 to speak to a Sales Manager*** Come in to Ron Tonkin Chrysler Jeep Dodge Ram Fiat in Milwaukie to test drive today! 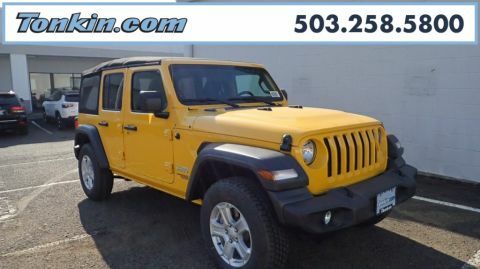 DL0087.